Hurricane Harvey, the fiercest cyclone to hit the US in more than a decade, has slammed into Texas, lashing a wide swathe of the Gulf Coast with strong winds and torrential rain. The National Hurricane Centre said the eye of the Category 4 hurricane made landfall at about 10pm local time, about 30 miles north east of Corpus Christi between Port Aransas and Port O’Connor, bringing with it 130mph sustained winds and rain. Harvey’s approach sent tens of thousands fleeing the Gulf Coast, hoping to escape the wrath of an increasingly menacing storm set to batter an area of Texas that includes oil refineries, chemical plants and dangerously flood-prone Houston, America’s fourth-largest city. 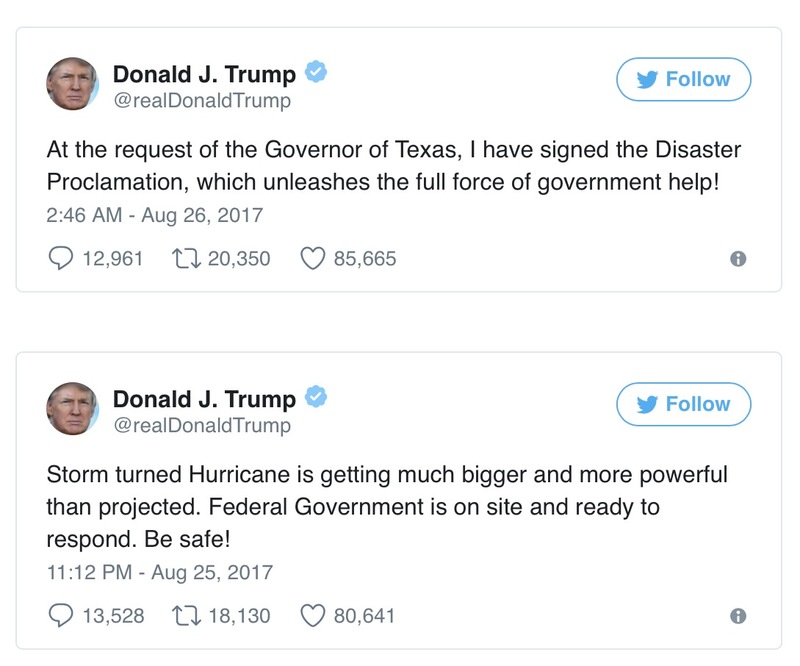 Texas governor Greg Abbott warned that the monster system would be “a very major disaster” and the predictions drew fearful comparisons to Hurricane Katrina, one of the deadliest to strike the US. “We know that we’ve got millions of people who are going to feel the impact of this storm,” said Dennis Feltgen, a spokesman and meteorologist for the National Hurricane Centre. As night fell, punishing winds had already begun to cause damage in central Corpus Christi, the city closest to the centre of the storm. A dustbin lid skipped across a car park behind hotels on the seawall and in the city of 325,000 residents, a traffic light post was toppled but still lit, its wires unearthed. Fuelled by warm Gulf of Mexico waters, Harvey grew rapidly, accelerating from a Category 1 early on Friday morning to a Category 4 by the evening. Its transformation from an unnamed storm to a life-threatening behemoth took only 56 hours, an incredibly fast intensification. Harvey came ashore as the fiercest hurricane to hit the US in 13 years and the strongest to strike Texas since 1961’s Hurricane Carla, the most powerful Texas hurricane on record. Based on the atmospheric pressure, Harvey ties for the 18th strongest hurricane on landfall in the US since 1851 and ninth strongest in Texas. Aside from the winds of 130mph and storm surges up to 12 feet , Harvey is expected to drop prodigious amounts of rain – up to three feet. The resulting flooding, one expert said, could be “the depths of which we’ve never seen”. “In terms of economic impact, Harvey will probably be on par with Hurricane Katrina,” said University of Miami senior hurricane researcher Brian McNoldy. Scientists warned that Harvey could swamp counties more than 100 miles inland and stir up dangerous surf as far away as Alabama and the Florida Panhandle, 700 miles from the projected landfall. It may also spawn tornadoes. Even after weakening, the system might spin out into the Gulf and regain strength before hitting Houston a second time on Wednesday as a tropical storm, forecasters said.